American Bridge’s Co-op program is the best way to discover your passion for engineering and gain invaluable, real-world experience. College juniors and seniors majoring in Civil Engineering or Construction Management are encouraged to apply for American Bridge’s Co-op program. This program gives participants hands-on experience while shadowing and learning from some of the industry’s most talented professionals and working on some of the world’s most challenging projects. When you take part in American Bridge’s Co-op program, you will spend three semesters (12-16 weeks each) immersing yourself in the industry. Students participating in the program will spend one semester in our engineering department, one semester in our estimating department, and one semester in field operations to get a comprehensive overview of the entire civil engineering and construction management work practices. By the end of the program, many students have a clear view on which direction they would like to take their future. A co-op at American Bridge gives you the opportunity to apply your academic training, test your skills in the workplace, and can open the door to a full-time opportunity after graduation. Once you’ve been through the co-op program at American Bridge, you’ll be more than prepared to begin your future career. I knew exactly what to expect and wasn’t surprised upon entering the field. The Co-op Program gave me the foundation to start my field career and progress through American Bridge. My rotation as a Co-op with AB gave me a great understanding of how our profession works. Everyone was very helpful, friendly, and flexible in working with me. The personable culture and the unique projects are two of the main reasons I wanted to work as a full-time employee at American Bridge. 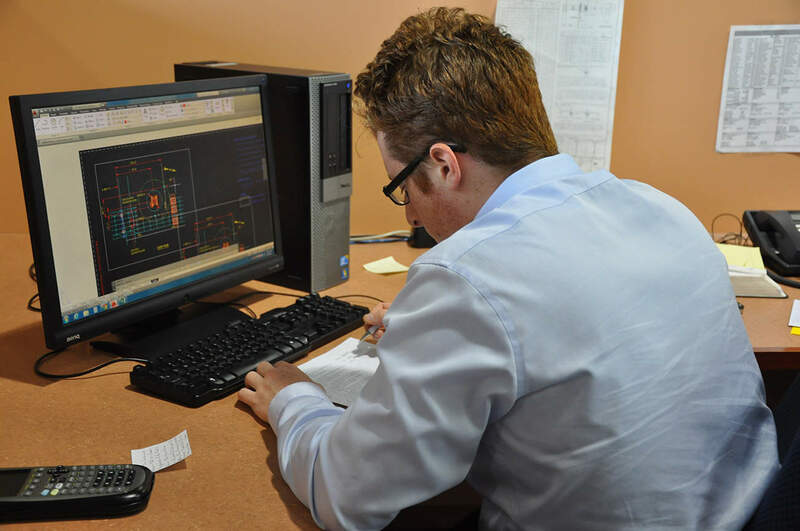 During my co-op, I was never bored, and had hands on experience with structural drawings. I loved the mix of people I got to work with. They were all friendly and extremely helpful. Whenever I had a question, there was always someone who was there to sit down and help me until I was comfortable. I learned a lot and the training was very thorough. 90% of Co-ops are placed upon completion of AB's program.